We are excited to announce the Inaugural Asian Youth Leadership Summit and Asia Resources and Cultural Fair that will be co-sponsored by the East Asia Institute at The University of Texas at San Antonio and the Texas Diversity Council. The Summit, which will be held Saturday, October 6, 2012, will be a full-day event filled with outstanding educational opportunities relative to the Asian culture, history and leadership for middle and high school students, grades 8-10. Please plan to join us…Additional details are included below. Free Parking in BR1 or paid parking in Bauerle Road Garage. When coming from Loop 1604 W, take the John Peace Blvd. exit. Turn left at John Peace Blvd. and enter UTSA. Follow the roundabout and drive counter clockwise for 270 degrees. Follow the road coming along side the Bauerle Garage. will encounter another round about. Drive along the roundabout counter clock wise for 90 degrees. BB on the map) The student(s) can be dropped off under the canopy area. If coming from I-10 W, exit on UTSA Blvd. Continue along the road then turn right on Bauerle Rd. you get closer, the ‘Bauerle Parking Garage’ letters can be seen. Take a Left at the stop sign and follow the road. Drive along the road, the Business Building (BB) will be on the right. The student(s) can be dropped off under the canopy area. The Inaugural Asian Youth Leadership Summit and Asia Resources and Cultural Fair will bring together approximately 70 middle school and high school students throughout the Greater San Antonio area that have been recommended by school administrators, teachers, parents and/or other community-based organizations. Please note parental or guardian consent will be required in writing before the student’s participation is confirmed. Upon receipt of the completed student registration form, an acknowledgement of receipt will be sent via email. Privacy · Copyright © 2019 Asian Summit. 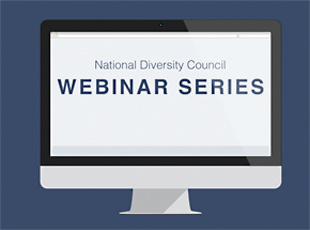 Proud Initiative of the National Diversity Council.